Capable of printing 4 film sizes (14×17, 11x14, 10×12, 8×10-inch) as well as adaptability to ever more diverse modalities. This versatility satisfies the size needs of CR, CT, MRI, Ultrasound, and Mammography all in one imager. 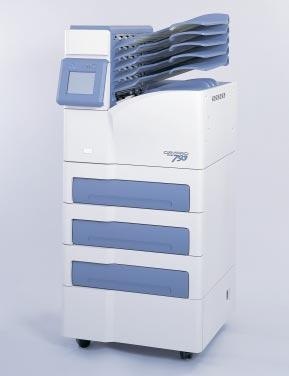 Even with an optional six-tray sorter installed, the DRYPRO 793 boasts a footprint of a mere 0.43m², making it one of the smallest full-size, multi-modality dry imagers available. A Start Timer function automatically powers and warms up the unit by the time you get into the office. Previous Page printing makes reprinting films quick and easy. Status indicators let you know how much film remains in each tray. One film tray is mounted in the standard configuration with optional second and third trays available. 14-inch(accepts 14×17,11×14-inch), 10-inch(accepts 10×12-inch) and 8-inch(accepts 8×10-inch) trays are available as options, providing flexibility of configuration to meet user needs. 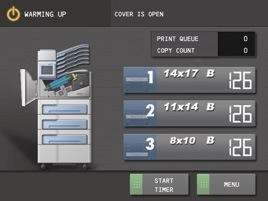 Additionally, a 6-channel sorter is offered to facilitate post-print sorting. The DRYPRO 793 features a large, color, LCD touch panel. The crisp clear display provides easy reading in many selectable languages. The menus are intuitive and easy to navigate. The DRYPRO 793 also features new screen layouts for displaying film type and size and system status. The DRYPRO 793 provides animated instructions in the event the imager runs out of film or requests some action for the user. The step-by-step animation presents procedures in an easy to understand format that facilitates quick resolution. This feature frees the user from the burden of referring to manuals in the course of day-to-day operation and makes the unit easy to use even for an inexperienced operator. 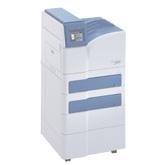 DRYPRO 793 is furnished with a Web maintenance function that allows the user to use a PC on the same network to access such information as the device status and print progress via the web browser. 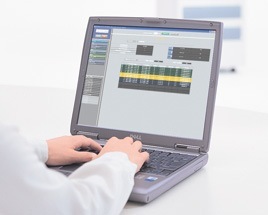 This affords the user an added degree of security by enabling access to print progress from modalities at remote locations. and only available for 11"×14", 10"×12" and 8"×10" films. 2nd and 3rd trays are selectable (14"×17", 10"×12", and 8"×10").